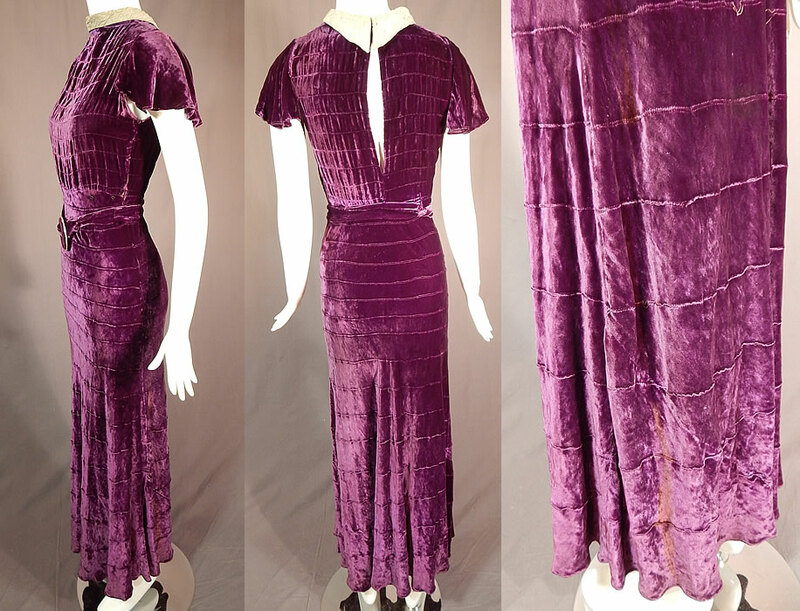 This vintage Art Deco purple pintuck pleated velvet belted evening gown dress dates from the 1930s. 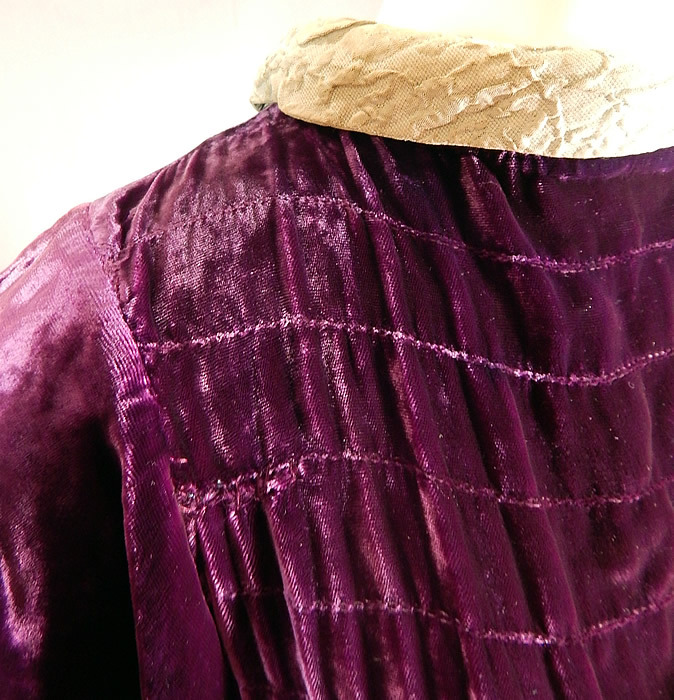 It is made of a lustrous dark purple silk velvet fabric with pintuck pleated details. 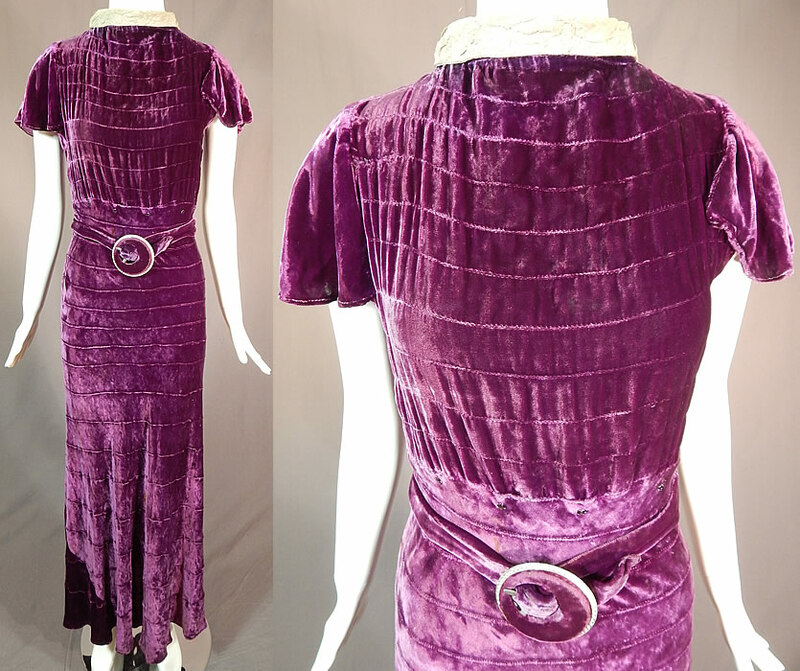 This gorgeous gown evening dress is a long floor length, with a form fitting style, silver lamé collar trim high neckline, key hole opening, button closure on the back, short flared cap sleeves, an attached belt with large velvet covered circular rhinestone edging buckle front, no side opening and is unlined. 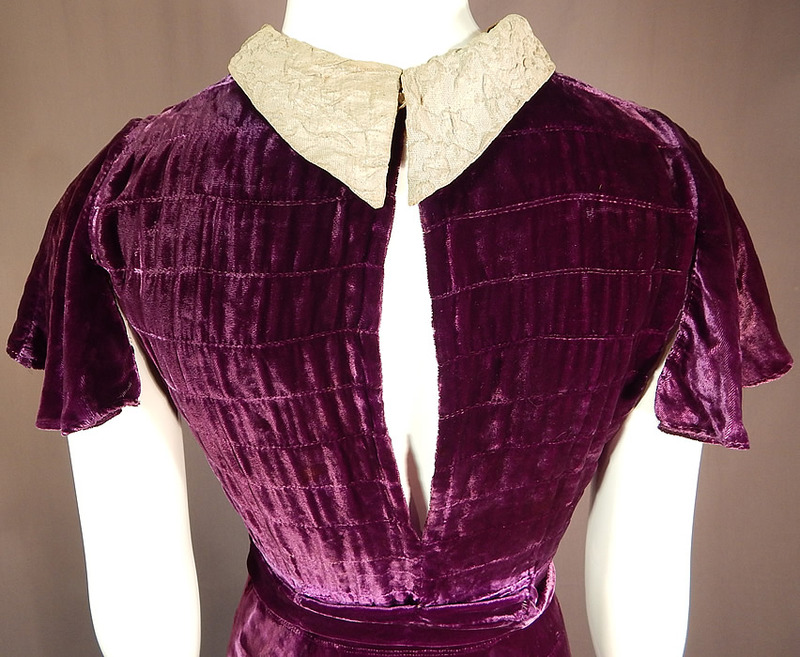 The dress measures 58 inches long, with a 34 inch bust, 26 inch waist and 40 inch hips. 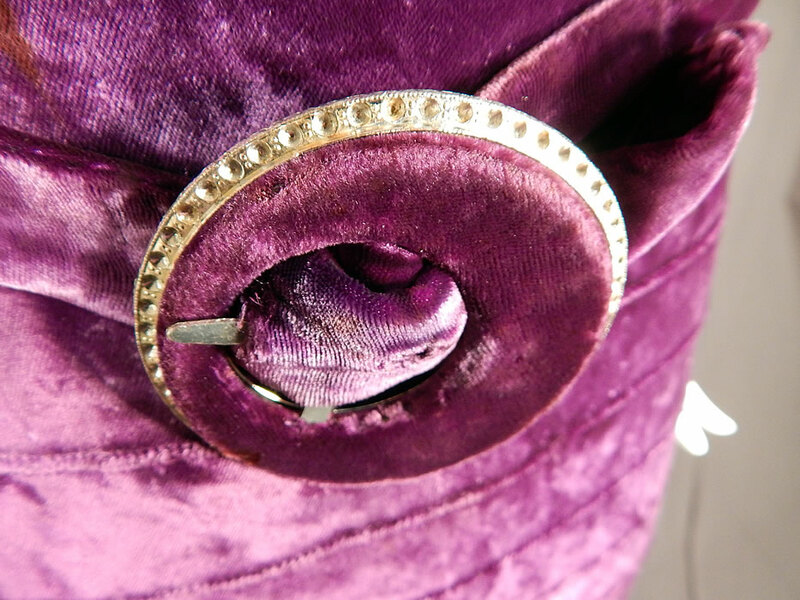 It is in good as-is condition, missing rhinestones on the buckle, a mended repair on the front arm hole, has some faint discoloration stains on the bottom skirt and collar (see close-ups). 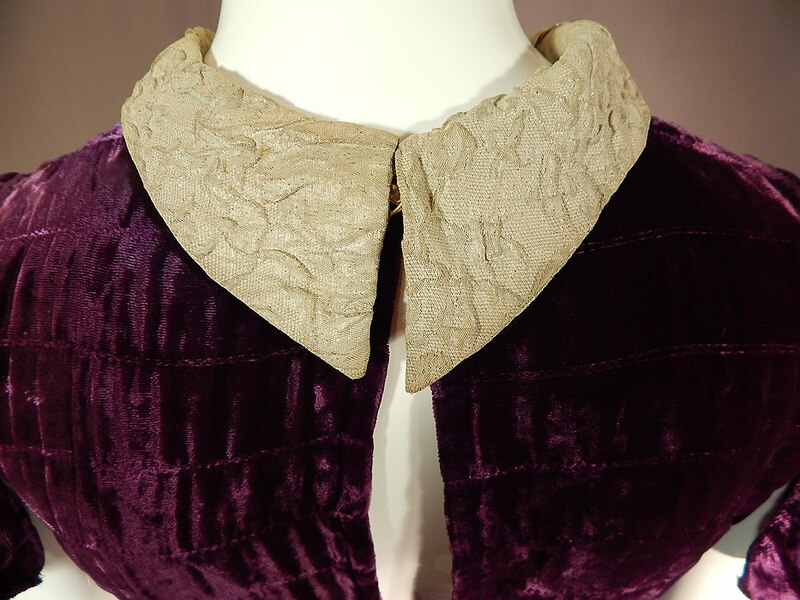 This is truly a luxurious piece of Art Deco velvet wearable textile art! 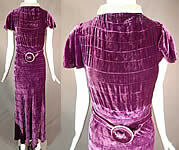 Buyer pays $8.00 shipping and insurance, USA orders.